The Appys 2011 with The Carphone Warehouse is now open for entries. 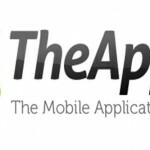 The Appys is the only dedicated awards programme in Ireland for app development and design. The Appys is designed to celebrate the innovation and creativity now abundant in the app development industry and reward the best, the most useful and the most creative apps and their developers. Entries are open to anyone who has developed or paid for the development of a mobile app, a tablet app (e.g. an iPad app) and a Facebook app. All platforms are invited – iOS, Android, Bada, Symbian, Ovi, Windows etc. “Apps are now part of everyday life and are having an impact on the way people share information, entertain themselves, educate themselves, search for things, shop and do business. The quality of apps, across all platforms, now available is staggering. Irish app developers are highly skilled and many of their apps are market leaders,” says Edward Conmy, event organiser. The event itself will be held at the Mansion House in Dublin on November 3rd, 2011. Tickets are available from theappys.ie . As well as an excellent networking event, The Appys will host a pre-show technology arena. The Carphone Warehouse is once again the title sponsor of The Appys. “Here at The Carphone Warehouse we are delighted to once again be the headline sponsor of the Appys.” said Charyn White, marketing manager, The Carphone Warehouse, “The App sector is growing at a phenomenal pace, and as an independent mobile provider and as a stockist of all brands and operating systems, the awards are a perfect fit for us to recognise app development across all platforms”. Winners will be announced at a gala awards ceremony at the Mansion House, Dublin on November 3rd. Tickets for the event are €75 (ex VAT) and are on sale now at theappys.ie. The media partner for the Appys 2011 is independent.ie.